The main commodity that moves research is the academic article, which is intended to be the communication unit that serves to transmit new discoveries. The access to this knowledge is often protected behind a paywall, which occurs in most of the high impact factor journals. Big names in publishing are often in the top objectives of research groups, taking the form of a scope list (usually shaped as a plane sheet of paper with journal names and decreasing impact factors). To appear regularly as an author in a top tier journal is a surviving strategy for researchers, and high achievers are regulars in them. The paywall protection of content apparently is conflicted with the principle of facilitating the dissemination of discoveries and the construction of scientific research worldwide. Researchers without subscriptions (or access to a library with institutional pass) can hit up to 1000 USD cost for just referring relevant bibliography in a regular grant proposal. This situation leads to a transversal bad habit: to cite papers that you haven´t read. In the last few years a new player came into the game, Sci-Hub search engine, where you can download these pay-per-read papers without paying. This search engine was created by Alexandra Elbakyan, a very young neuroscientist from Kazakhstan. The central motivation of Alexandra was promoting the purpose of making science communication more open and efficient. Elbakyan didn´t achieve this outstanding endeavor without gaining enemies on the road, in fact, she´s risking legal penalties based on the supposed violation of intellectual property. Send a raven: dark wings, bright words. The logo for Sci-hub…To remove all barriers in the way of science. The business model of a pay-per-read journal includes on its basis the appropriation of the content copyright to be published, which is ultimately the product commercialized in subscriptions and detail sell. This content is produced by researchers, not the publisher, yet authors have to pay article processing charges (APC) which cost in average 2300 USD. Other inputs from authors to be considered includes charges by color figures and fees to make your article open access (to achieve the purpose of reaching a wider audience). The concept of processing and commercializing scientific content makes already the publishing business an incredibly profitable business, this, without counting incomes from other sources as publicity and events. This way, Sci-Hub have shaken the grounds of an empire, why? Because everybody is using it! Something similar already happened in the music industry with Napster during late 90´s and general entertainment with torrent sharing systems during the last 15 years. Piracy didn´t break music, TV or video game industries; it changed them. Attractive versions of our favorite shows in collection box-sets, premium access to music playlists, skipping commercials and exclusive DLCs are some examples of how these industries have adapted the dependence on content commercialization. In my point of view piracy isn´t the real problem here, but a symptom of unequal wealth distribution. For adaptation to the present scenario, all the stakeholders can consider changes and some glimpse of those we have perceived. Researchers as providers of content are the first link in the chain. Two great examples show that groundbreaking discoveries are independent on the luxurious nature of the publishing platform. The Homo Naledi discovery published in open access journal e-life (impact factor 7.01) has in 15 months 66 citations, which also makes us think again about how valid is the classic impact factor, on this, I suggest to read Anna Leida´s entry on new metrics. But the most emblematic iconoclast is the Russian mathematician Grigori Perelman, who published a series of papers in ArXiv to solve one of the biggest challenges in mathematics, Poincaré´s conjecture. His work was worth of the Fields Medal, the equivalent of Nobel Prize in mathematics, which by the way, he refused. Attention switching on open access systems (like OJS or electronic lab books), data sharing and sustainable models based on donations in scientific platforms are also examples of dissemination evolution. In this new landscape the benefits of knowledge generation are freely available to everyone, and the disproportion of revenues generated from its value can be more equally assigned. As a final point, more than a conclusion I will like to let some open questions, for curiosity and encouraging of debate. Are you willing to publish a groundbreaking discovery you have made into a humbler open access journal even if its material for a higher impact pay-per-read journal? Do you think that open exposure of your work promotes the quality enhancement of research? Is piracy affecting your business? In terms of actions taken: is your company adapting or fighting back? Is on the horizon any primary appropriation free metrics to replace IF at the moment to evaluate how science performs? Do you get you science information on the primary source? Or do you prefer newspaper/YouTube/magazine versions of scientific advances? 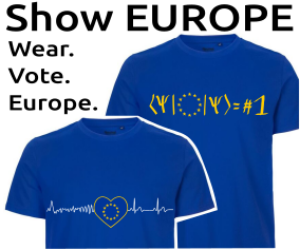 Would you like to support EuroScientist with a donation?